I started The Ragamuffin Saint in 2010 and have been blogging here ever since. I always try to write authentically from the heart. Some posts are based on my own experiences, musings, and insights; some are inspired solely by the Holy Spirit; and some are a combination of these. Regardless, I find it interesting to know which blog posts hit home the most with people. It is always meaningful to me when someone leaves a comment or sends an email to express how a particular blog spoke to them, or perhaps confirmed something they were praying about. It's truly a sincere honor, and quite humbling as well, to write words that have the capacity to touch another's soul or spirit. I don't take it lightly. 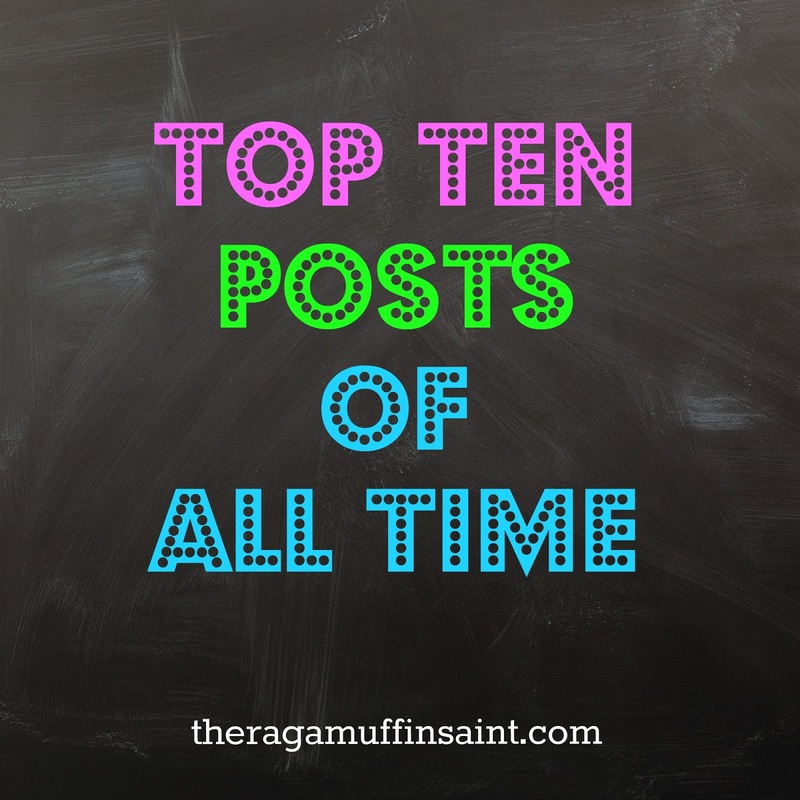 With that thought in my mind, I wanted to share, as of now, The Ragamuffin Saint's top ten posts of all time. They're listed in order of most views.